Bring high-quality, research-based mathematics professional development to your school or district. Our Mathematics at Work experts and professional development workshops/seminars will help you establish a reflect, refine, and act formative learning process for students, teachers, and mathematics education leaders. 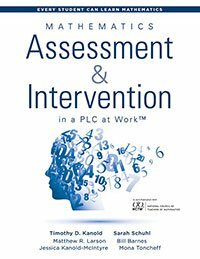 Establish math strategies for assessment, intervention, homework, and lesson designs that ensure every student can learn mathematics. An expert author or Mathematics at Work certified associate will educate and motivate your team to support high levels of mathematics teaching and learning. Participants will use the eight criteria for highly effective mathematics assessment design to reflect, refine, and act on the alignment of all current unit assessments, the scoring of those assessments, and the creation of an efficient and sustainable intervention process for formative student action on teacher feedback. Participants will use the six lesson design criteria to reflect, refine, and act on levels of student perseverance and engagement during the lesson, the nature of the cognitive-demand tasks for those lessons, and a sustainable formative feedback process, with student action during the lesson. 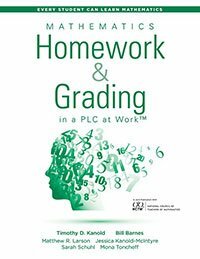 Participants will use the eight criteria for highly effective homework and grading design to reflect, refine, and act on all current homework assignments, the scoring of those assignments, and the creation of efficient and effective grading routines designed to inspire student perseverance, effort, and engagement in learning. Learn how to support a teacher reflection and action process by using team actions outlined in the Mathematics at Work evaluation framework. 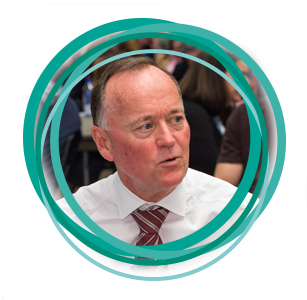 Participants will understand the role school leaders play in supporting the team actions and understand next steps to implement at their school sites. 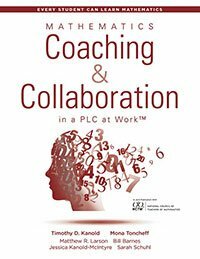 The coaching academy—a train-the-trainer model—uses discussion protocols from the PLC at Work® process to guide professional development and progress. Engage in job-embedded real-time coaching and feedback on how to effectively teach, assess, and align mathematics instruction and formative assessment processes in and out of the classroom. Teachers engage with an expert, both at their school building site and through virtual interactive coaching about their unit-by-unit work for effective lesson design, homework, and common assessment protocols. This service includes classroom observations and deep feedback for collaborative teams based on the ten high-leverage team actions of Mathematics at Work™. Work with us to develop a custom learning plan designed to help teachers of mathematics improve student performance and engagement. Through a targeted mix of on-site professional development and virtual training, your team will receive the support they need to implement best practices in mathematics instruction, assessment, intervention, homework, and grading. Sustain learning throughout the year with Global PD. Built on the research-based work of education experts, Global PD provides high-quality, goal-oriented trainings. Access hundreds of videos and resources from top authors, including Timothy D. Kanold, Sarah Schuhl, and Mona Toncheff. Receive on-demand, personalized webinar-coaching from certified experts.